Thomas Ryan, a more than 20-year veteran of the Federal Aviation Administration, has joined Washington-based technology consulting firm Rigil as senior vice president of strategy and operations. He most recently served as the FAA’s deputy assistant administrator for security and hazardous materials safety, Rigil said April 25. While at the FAA, Ryan collaborated with FAA senior leaders to help establish the Transportation Security Agency following the September 11 attacks. Ryan has also worked for the Defense Intelligence Agency and is also a two-decade veteran of the Marine Corps. 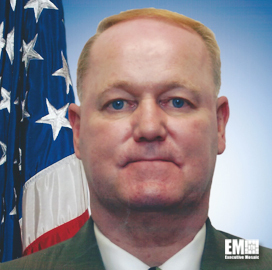 “He brings a wealth of knowledge from a long and successful military and federal career, ” said Rakhi Sharma, Rigil president and CEO. “I know that Tom will help drive Rigil toward achieving its goals and in executing strategies for long-term growth, ” Sharma added. Ryan has also led a team of FAA professionals who worked to develop new standards for the agency to protect its staff and assets.